This quilted wonder has a hood for extra warmth, two side pockets that zip closed for security. Handy slot for threading the leash through to your dog’s collar or top-cinch harness. The sleeves are not just decorative – releasing the snap on each sleeve gives your pup full-coverage leg warmers. 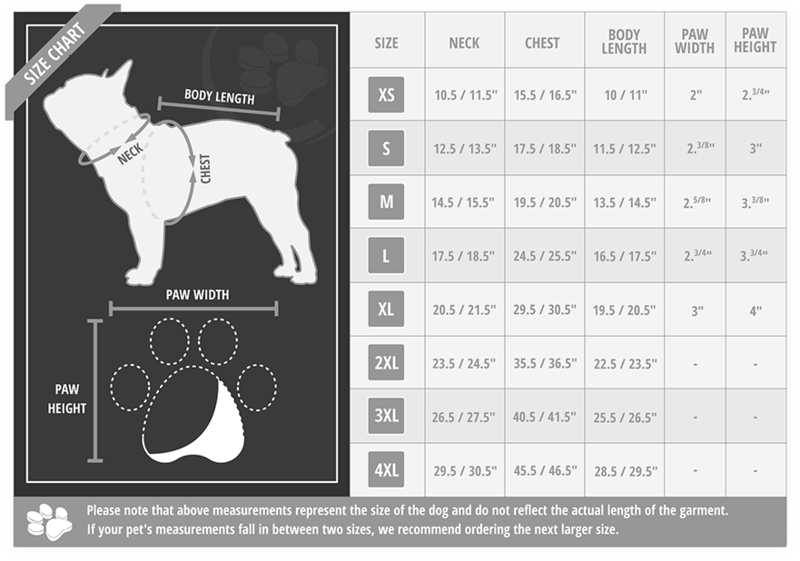 Elastic hem adjusters on each side ensure a custom fit for your dog’s body type. Infused with our trademark SilverShield™ microbe-inhibiting technology to keep the jacket fresh-smelling even if your dog has been in and out of rotten weather conditions. Hand or machine wash in cold water; air dry.